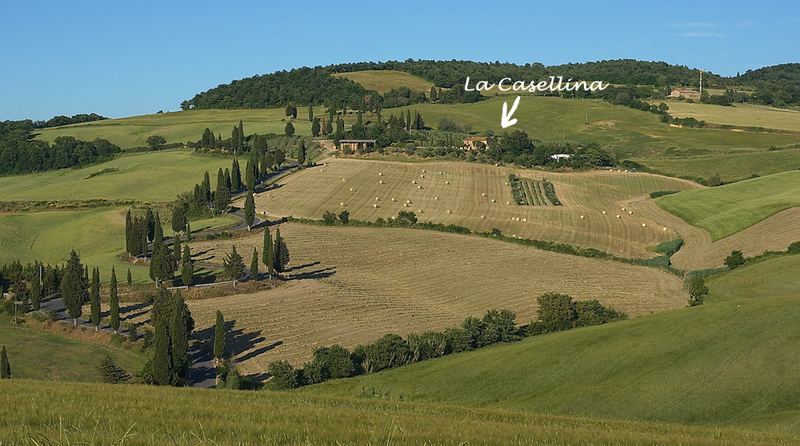 The farm holidays "La Casellina" is situated in a panoramic position, less than 1 km from the medieval village of Montichiello, in one of the most famous and particulars roads of Tuscany and of Italy, in fact, this background is used by many directors for advertisements or even films. 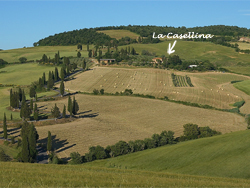 Montichiello, small fraction of Pienza, is considered the "pearl" of Val d'Orcia, area recognized as assets of Unesco. The farm house is dated to the early 1800s and is completely built of local stone. The structure consists of 2 apartments of 50 square meters each, restored and furnished in compliance with all the criteria of the Tuscan type. 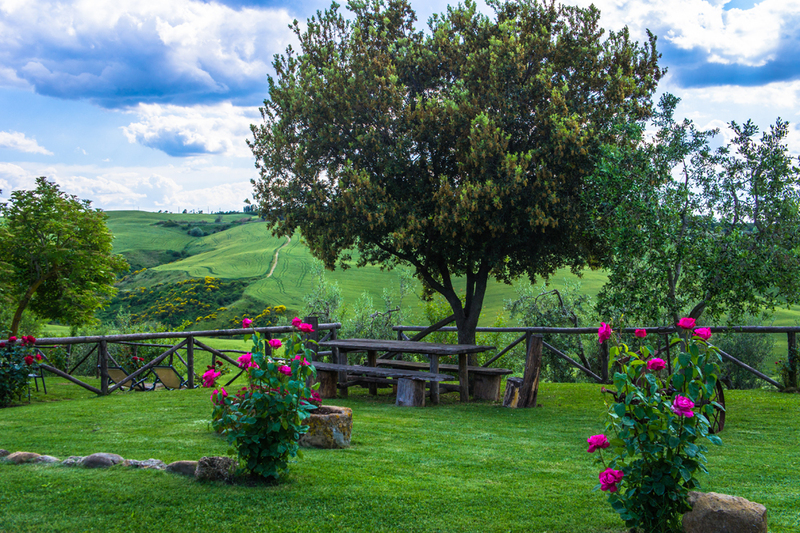 The farm is surrounded by beautiful green garden and has a private pool. In our company grow cereals, olive trees, vines, fruits and vegetables, all strictly in compliance with biological agriculture. Another of our activity is the breeding of farm animals and Chianina cattle, whose meat is used for the famous Florentine steak. 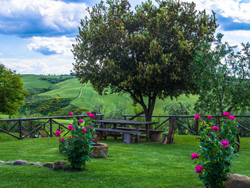 From our cottage you can quickly reach town of great beauty both artistic and landscaping such as Pienza, Montepulciano, Cortona, Montalcino and the places of Bagno Vignoni and Bagni San Filippo, known for their thermal pools.